This is the same kind of product as our Ultra Enhanced series, but we are changing the name to indicate just how natural these extracts are. 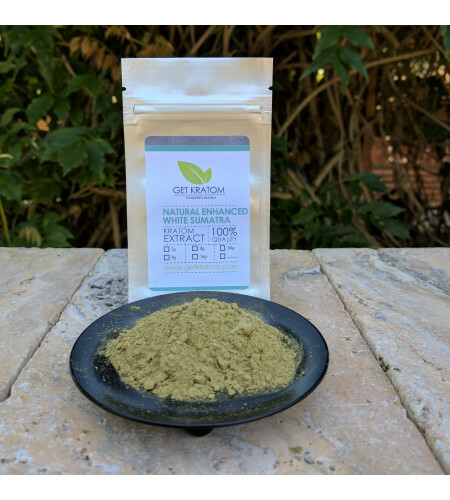 No synthetic chemicals, just high purity kratom alkaloids blended with all natural kratom leaf. This is made with alkaloids from a very special white Sumatran strain. The aroma is quite energizing, uplifting, even floaty. 8 grams.